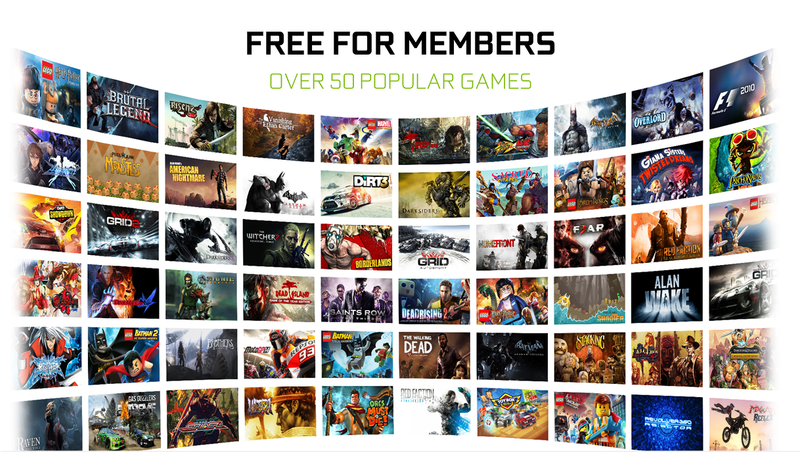 The service lets you stream PC games instantly, and Nvidia's offering a three-month free trial. Nvidia on Wednesday laid out its plans to become the “Netflix of games,” with a new streaming service for its line of Shield devices that will cost $8 and starts with a three-month free trial. 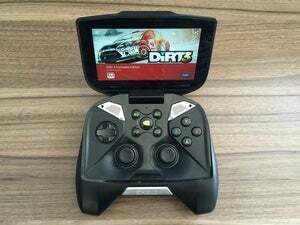 Called GeForce Now, the service lets players stream from a library of games to the company’s Shield console, the Shield Tablet or Shield Portable gaming units. The company said gamers can click on a title, and instead of the usual download chore of gigabytes, it can be played immediately. GeForce Now will go live Thursday for gamers in North America, Europe, Eastern Europe and Western Russia, as well as Japan and South Korea. Why this matters: Game streaming was one of the key features of Nvidia’s Shield console when it was announced in March, but it’s taken until now for the company to unwrap it officially and announce a price. 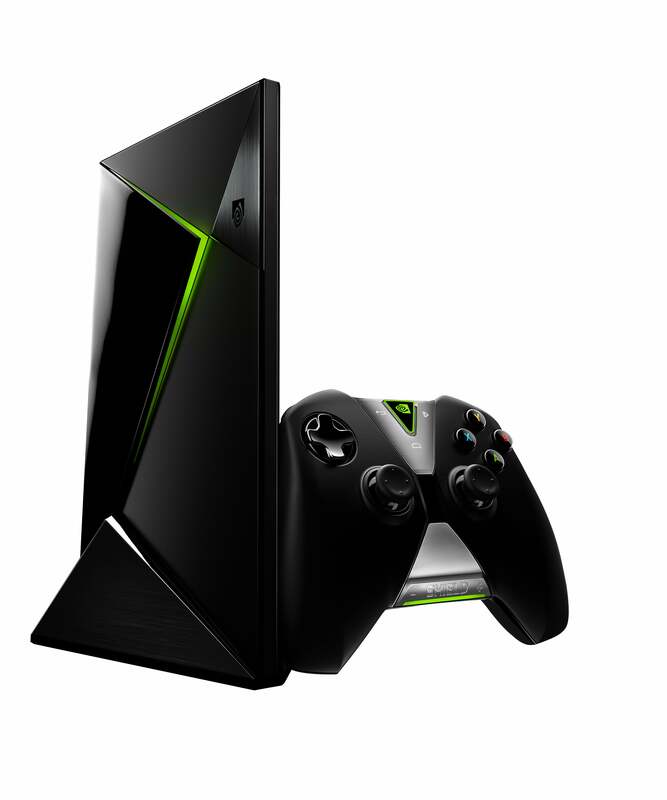 Nvidia’s Shield console will work with GeForce Now for instant PC game streaming. Nvidia officials pointed to the company’s forte: better graphics. Andrew Fear, a product manager for GeForce Now, said the new service is built on well-known GeForce GTX graphics. “Our Geforce Now service is faster than any of the latest generation consoles and the great thing is that we’re going to continue to update our hardware and our servers every year,” Fear said. Fear could have a point. GeForce Now will stream PC games at up to 1080p resolution and at up to 60 fps. GameFly maxes out at 30 fps, and PlayStation Now currently streams PS3 games. Sony’s library is the largest of the three, with more than 400 games. GameFly appears to have about 40 titles, while GeForce Now is going out the gate with about 60 games. The company said it will continue to add games to the mix and—like Netflix—take games out of rotation as well. Nvidia said close to about 60 games will be on GeForce Now at launch. This isn’t new to anyone who has followed Nvidia closely. The company has been testing its game streaming technology called Grid for about two years now. 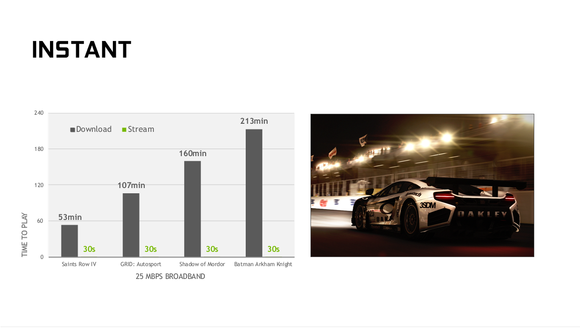 When GeForce Now goes online though, the Grid game streaming will go away. That’s likely to make everyone think GeForce Now is just Grid renamed, but Fear said that’s incorrect. Also gone are the ideas that users could play lower-resolution versions of games for free, while 1080p cost you. With GeForce Now, the model will be $8 ($7.99, to be more precise) for all. Nvidia says “up to” 1080p, is supported, but much of it will depend on the player’s Internet connection. Unlike Netflix, which has a flat fee for all content, Nvidia said it’s adding a new storefront that will let gamers play new releases immediately after purchase. When GeForce Now launches, about 10 new titles will be available, but the company said the goal is to have day and date launches of future new titles. Prices, the company said, are expected to match those of other online game distributors, so don’t expect a price war. The company seems to be aware that paying $7.99 a month to play from a fairly limited title library isn’t going to be the bees knees, so it said those who buy games from its new GeForce Now store will also receive digital download keys for “most” games. In theory, a subscriber could buy a new game, immediately begin to play it, and then let the game download to his or her PC later on. ”You see it, you buy it, you play it, you’re done,” Fear said. 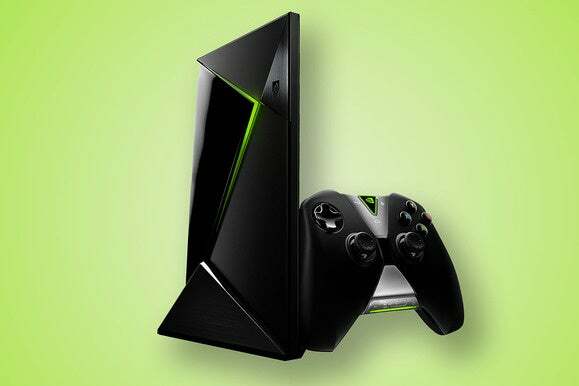 GeForce Now wasn’t the only news Nvidia dropped for its Shield. The company also said the device will get an update that lets it render some games at 4K resolution. This won’t impact the Shield Tablet or Shield Portable, but those who play Android games on their UHD 4K televisions can now enjoy some of them rendered at a sharper native resolution. The Shield console is still one of few set-top boxes that currently supports streaming 4K video content from Netflix as well.